﻿ Ontario's move to raise minimum wage to $11 per hour Thursday was greeted by very mixed reaction in Ottawa. Proponents of hiking the minimum wage - some of whom want it as high as $14 - saw it as a step in the right direction but not enough, while others said the higher wage will hurt small business. As of June 1 when the new wage is implemented, Ontario will be tied with Nunavut for the highest minimum wage in the country. 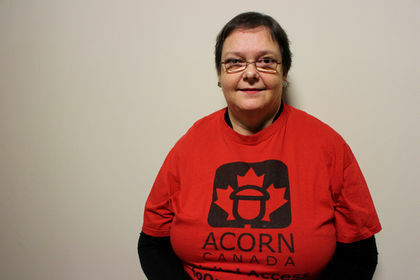 "That's a step forward but people are still going to be struggling," said Diane Rochon, a board member with Ottawa Acorn, an organization that advocates for social and economic equality. Minimum wage hasn't gone up in the province in four years. "Everything else went up except the minimum wage," said Rochon. But business owners like Ron Spirito, who owns the Southern Cross Texas Grill downtown, would rather see low-income earners get breaks elsewhere. He said he will have to grapple with the increased wage by raising prices. "I can't afford to absorb what will effectively be a 5% increase in my costs so that will have to directly pass on to the consumer," he said. Spirito said people working minimum wage should be given breaks on rent and "the skyrocketing cost of electricity." "(The government) is doing the easy thing" by raising the wage, he said. Craig Lester, who works in fast food, said he would have liked to have seen a bigger jump, but called that an "unrealistic expectation." "It's easy to argue against (the increase) when you haven't worked minimum wage," he said. "But it's hard. What I'm making doesn't take me that far." The governing Liberals also introduced legislation that would see future increases tied to the rate of inflation, but people like Rochon are adamant the situation right now is not about improving quality of life, it's about giving many some quality of life. "They're not going to buy Lamborghini or a Land Rover, they're going to put food on their table," she said. "I'm ashamed that we still have poverty in this country." In a statement, Labour Minister Yasir Naqvi, also MPP for Ottawa-Centre, said the hike was part of establishing a "transparent, fair and responsible method" of setting minimum wage. ﻿"Our government is focused on helping hardworking Ontarians by ensuring fairness for people living on minimum wage and predictability for business," Naqvi said.